This is the secret to an instant detail! Use Speed Demon on your dusty car and your jaw will drop. It’s not magic, but using it is the closest you’ll get to being a magician! Spray it on the surface, glass and chrome between wax sessions to keep your car looking brilliant. Dusty car? Doesn’t matter. Dust particles are suspended so they never touch the surface, ever. It gives your car a brilliant shine, blocks contaminants and UV rays, has no buildup, no streaks and lasts three times longer than other spray detailers (thanks to high levels of #1 Carnauba wax). Take a deep breath, read that again, and go impress your friends with Speed Demon. 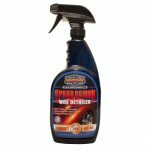 APST allows Speed Demon to be safely used even on a very dusty car, completely eliminating the need to wash it first. 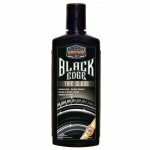 Contains high concentrations of pure #1 carnauba for a long-lasting, streak-free, show car shine. Safe on all exterior surfaces, including glass, chrome and trim. Looking for the deepest, richest gloss anywhere? 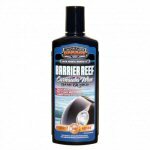 Then use Barrier Reef Carnauba Wax on your car’s exterior and maintain that shine with Speed Demon Wax Detailer. 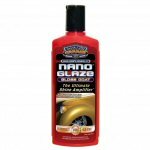 Looking for a quick detailer that actually works? Not just some spray that looks good for five minutes, then shows streaks and scratches once it dries? May as well be using water if you use those detailers. 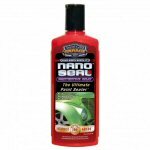 What you need is Hot Rod Protective Detailer, a true Enthusiast Grade, high-tech, wax-free synthetic detailer. It’ll never scratch your paint or leave those irritating streak marks. Hot Rod works to give your car a brilliant shine with a fast gloss formula, unmatched UV protection and extended life to your paint. Less work for you – more show-stopping results for your car. Removes All The Grime Every Time! Dead bugs. Tar. Tree sap. Road grime. They wreck your road trip and ruin your perfect paint and chrome. The bug’s acid strips your paint even after the bugs are gone. The tar and sap bond to your car like a mother-in-law to a newly-wedded bride. 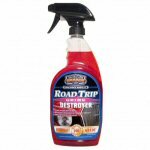 There’s only one way to restore your car to showroom condition: Road Trip Grime Destroyer. In 30 seconds, this 100% safe spray-on gel attacks the grime’s molecular bonds and totally neutralizes the bug’s acid. In fact, it destroys all your grime, no matter what the source. Then just rinse off and, faster than you can say Take Five, you’re ready to hit the open road with a pristine machine again. For a quick gloss, first let Grime Destroyer do the heavy work. Then shine with Speed Demon Wax Detailer. 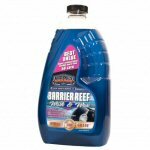 For the deepest, richest gloss, wash and wax with Pacific Blue, then follow with Barrier Reef Carnauba Wax. Surf City Garage Signature Series Nano-Detail microfiber towels feature the Surf City Garage logo imprinted on the highest quality microfiber in the world. 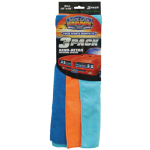 These Enthusiast Grade towels clean all surfaces completely lint-, scratch- and streak-free and are perfect for washing and drying, as well as for applying and removing waxes and polishes. Ultra-absorbent and so long-lasting you can wash them hundreds of times. Guaranteed to be the best you've ever used or your money back. Wash in warm water with mild detergent, then air or tumble dry. Do NOT bleach or use fabric softener. 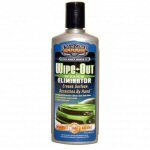 Beyond Glass Cleaner isn’t just any old glass cleaner; it’s made for cars. This isn’t the same cleaner used by window washers and put into a bottle with a car on it. This is the only glass cleaner that should touch your car. Since it is 100% ammonia-free it won’t dry out your weatherstripping or ruin the tint like economy glass cleaners do. And it also doesn’t leave those annoying streaks or wipe marks on your windows. It works flawlessly even in the hottest sun. Clearly Better Glass Cleaner is the number 1 choice of auto enthusiasts, not window washers, though they’d like it too. Don’t be afraid to use Clearly Better in the hot sun – it’s the only glass cleaner on the market that is 100% guaranteed to be streak-free! The first major advance in convertible top car care products – combines a cleaner and a protectant in one single product for superior consumer value. 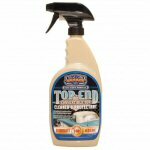 Top End Cleaner and Protectant works in 3 separate ways to keep every kind of convertible top – vinyl, fabric and canvas – looking like new! The most convenient and easy to use. 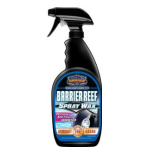 A spray not an aerosol like other products, eliminates waste, overspray and need for near-windless conditions. Enthusiasts Grade performance that is guaranteed to be the best ever for convertible tops, sport utility tops, car bras and track/tonneau covers. Cleans even the toughest soil, stains and mildew and helps repel dirt & dust. Conditions to keep your top soft and supple so it operates smoothly. Regular use prevents stiffness that can lead to costly convertible top motor repairs. Protects against harmful UV rays that make your top fade and age. The best beeswax on the planet combined with oil-replenishing lanolin soothes your leather like lotion on dry skin. Rejuvenate and condition old leather or apply it on new leather to add long-lasting waterproofing protection. It even smells like real leather. Works great on vinyl, too. No more dry, ugly leather. Bring it back from the dead and keep it there with Voodoo Blend. First use Dash Away to clean any smooth leather or vinyl. Then use Voodoo Blend to get the ultimate restoration on your interior leather and vinyl. Voodoo Blend also works great on any type of leather, even couches, motorcycles, boat seats, purses, and shoes. Yes, ALL of it. Dash Away is 100% safe for cleaning every surface and doesn’t leave greasy or oily residue anywhere. It also adds powerful UV ray protection to stop the sun from fading your interior surfaces. 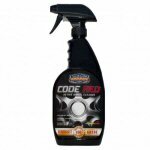 Keep this one spray in your detailing kit and get rid of any dirt anywhere, any time. Cleaning your interior has never been easier, so go clean it up with Dash Away. 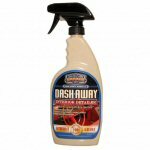 Dash Away also works great on all interior surfaces around the house (couches, rugs, and more). After Dash Away, turn to Voodoo Blend Leather Rejuvenator to bring your leather back from the dead. 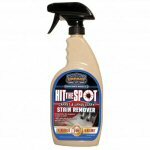 Hit The Spot cleans and removes the toughest stains of grease, food, drinks, dirt, grime and mildew. This Enthusiast Grade cleaner and spot remover is 100% colour safe on all carpets and upholstery including carpet, vinyl, rubber floor mats, cloth and leather. It even prevents mold and colour-fading. Oh, and it doesn’t just cover bad odours with chemical smells - it kills them instantly and completely, leaving a great jasmine scent. 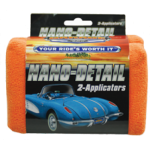 Our Nano-Detail Microfiber Applicators contain the highest quality microfiber in the world. Exclusively available through Surf City Garage, these Enthusiast Grade applicators are perfect for applying waxes, sealers and polishes and are completely scratch- and swirl-free. The soft fibers help to evenly distribute product. Ultra-absorbent and so long-lasting you can wash it hundreds of times. Guaranteed to be the best you’ve ever used or your money back. In the detailing world, foam has an almost unlimited number of uses and these Surf City Garage Professional Foam Applicator discs are no different! Economical and useful, these versatile little discs are good for everything from waxing to polishing and anything in-between. Use with your favorite wax to spread a nice even coat over paint or use them to treat your leather seats to a dose of conditioner. No matter how you choose to use them, you’ll find that the Surf City Garage Professional Applicator Pads deliver both value and performance for any detailing need. 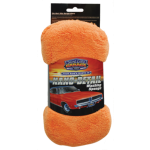 Surf City Garage Nano-Detail Microfiber Washing Sponge contains the highest quality microfiber in the world. This Enthusiast Grade sponge cleans all surfaces completely scratch-free. 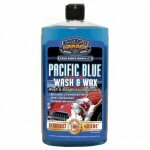 We recommend Pacific Blue Wash & Wax which gently and throughly cleans your car and then lays down a coat of #1 Carnauba. Ultra-absorbent and so long-lasting you can wash it hundreds of times. For the toughest grime, first use a scrubber. Our Nano-Detail Microfiber Drying Towel contains the highest quality microfiber in the world. 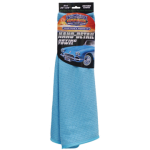 This Enthusiast Grade towel dries all surfaces completely lint-, scratch- and streak-free. Ultra-absorbent and so long-lasting you can wash it hundreds of times. The ALL-NEW, PATENTED Surface Prep System. ​Oh, and we almost forgot the cost. It’s a LOT – and we mean a LOT – less than any clay bar around. The best-looking paint, the best shine, the best value – ClayZilla. Clayzilla is a Surface Prep System that restores your paint. It Includes an ergonomic, patented, high-density foam applicator that is soft and pliable, PLUS our replaceable Zilla Pad, which lasts 5X long than a clay bar, PLUS an 8oz bottle of our specially formulated 8oz Zilla Juice Detailer. Maximum reflectivity for your paint. Maximum gloss. All fast, quick and easy - an long lasting. Our competitors' surface prep systems don't stand a chance against Clayzilla. Every moment spent outside exposes car paintwork to attack by environmental or industrial contamination. Regular washing removes surface dirt but stubborn marks or residues have a longer lasting effect on the paint’s reflective surface, eventually leaving it dull and even rough to the touch. That is where the Surf City Enthusiast Grade Clay Bar Kit comes in. 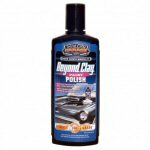 The high tech synthetic polymer clay grabs the tiny surface contaminants and pulls them off the paintwork, leaving behind a perfectly clean, glass–smooth surface, ready to be protected with Surf City Garage polish or wax products to preserve and enhance its showroom shine. The kit includes everything you need to properly and safely remove damaging contaminants from the car’s painted surfaces, unlocking the full shine. THREE 80gms generously sized pieces of Surf City Garage ultra fine clay. ONE full size bottle of Surf City Garage Hot Rod Protective Detailer. ONE Surf City Garage Nano-Detail Microfibre towel. The process is simple, the results massively satisfying. Shine-stealing deposits are lifted off the surface not ground away. Paint is smoother with a much-improved reflective shine, restoring that new car look and feel. 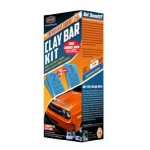 The advanced formula Surf City Garage Clay Bar Kit will also work wonders on glass, chrome or any other smooth exterior surface. 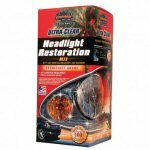 What makes Ultra-Clear® better than other headlight restoration kits? No sanding required. Most other kits require several steps of sanding to remove contaminants. That's a lot of work. Only Ultra-Clear uses advanced Micron Polishing Technology™ which eliminates the need for sanding and gives you that factory-new look without all the extra effort. And only Ultra-Clear includes a Lens Protectant that protects new, undamaged lenses and freshly restored ones from future fading. 1-Microfiber Towel and 1-roll of masking tape. Doesn’t just hide surface scratches, it actually eliminates them. Enthusiast Grade polish contains no fillers. Specifically designed for safety. Will not damage painted surfaces. Available in either 8oz bottle as shown or 16oz bottle, please select from below. Tried everything to shine that stubborn tarnished aluminium? Economy brand polishes may help, but they use harsh abrasives that leave scratches. Not on your ride! Absolutely Aluminium is the answer. It works twice as fast as paste polishes and is easier to use, creates a mirror finish, is scratch-free, removes road film and restores tarnished aluminium. It’s safe to use on all metals, but is fine-tuned to be safe on soft aluminium. Get the most reflective shine (with no scratches!) possible from your aluminium. When your wheels are incredibly dull or tarnished, nothing will polish them up like Absolutely Aluminium. To bring them back to that “just out of the box look,” turn to Diamond Edge Wheel Dressing. All our Perfect Polishes are ideal for removing overspray and oxidation off glass as well as for clearing up yellowed headlights. Super advanced, non-abrasive formula will not scratch or damage the metal. Chemical abrasion technology removes only the oxidation and surface rust. Ultra efficient. Requires very little product to obtain mirror finish. Of all the processes done to maintain your car's finish, car washing is the most important. However, what many people don¹t realize is it's also the biggest opportunity for you to introduce damage, such as swirls and light scratches, to your delicate painted surfaces. The solution? 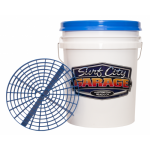 The Surf City Garage Car Wash Bucket With Grit Guard Insert. Made of durable plastic and capped with a Gamma sealed screw-on lid, the Surf City Garage Car Wash Bucket is the first line of defense in your war against swirl marks. 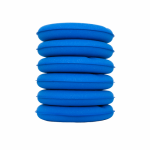 With each dunk into your bucket with your wash pad, the Grit Guard Insert can be used like a wash board to release the abrasive particles, dust, dirt and debris you¹ve removed from your car. The patented design allows those little gritty bits to fall through, keeping your soapy water clean and free of any swirl-causing debris. Whether you’re a weekend warrior or a serious car detailer, the Surf City Garage Car Wash Bucket with Grit Guard Insert is a MUST HAVE in your car care arsenal.